US Democrazy has repeatedly documented Boehner's rocky tenure as House Speaker. Deep divisions between establishment and Tea Party Republicans had pushed Congress to the brink of fiscal disaster several times during his tumultuous tenure. Under the threat of a coup, Boehner stepped down. A leadership vacuum emerged, with another budget standoff looming. The largest House Republican caucus in 90 years was on the verge of collapse. Amidst the chaos, Paul Ryan emerged. From a bitter civil war. And perhaps, from losing the next presidential election. The House Speaker is elected by the majority of the entire chamber, rather than just the majority party. Therefore, the Speaker 218 of the 435 votes to remain Speaker of the House. Assuming that no Democrats help him out, Boehner needed 218 of the 247 Republican senators. By contrast, the Senate Majority Leader, Mitch McConnell, is elected by the majority of the majority caucus. To continue to lead the caucus, McConnell only needs the support of 28 of the 54 Republican senators, and no democrats. In other words, McConnell needed support from 52% of Republicans and 28% of everyone. Boehner needed support from 88% of Republicans and 50% of everyone. Because Boehner needed such a significant share of the caucus to back him, he could only afford to lose 13% of his caucus, or 40 votes. So the House Freedom Caucus, a group of Tea Party Republicans with more than 40 members, used their combined votes to force Boehner from the Speaker's chair. In doing so, they sent a clear message: the Speaker needs their support. However, the House Freedom Caucus is not the only group within the Republicans of the House. The moderate Republican Tuesday Group boasts over 50 members. Any Speaker would require their votes as well. 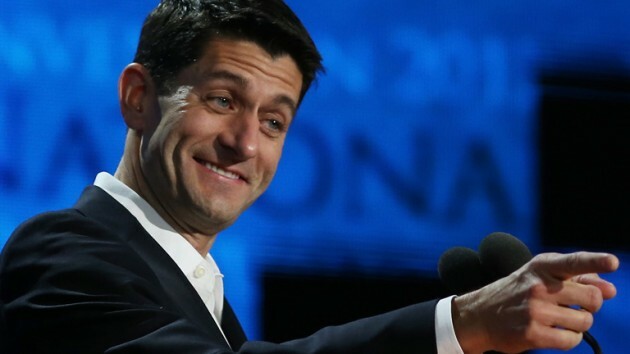 Amidst a GOP civil war, only one member could unite the caucus: Ryan. A supermajority of both caucuses endorsed him. He is the unity candidate who delivered stability to a crisis-ridden House.